Boasting more than one thousand color pictures, diagrams, tables, and photographs, The Nature Encyclopedia offers a stimulating reference guide that will enthrall everyone interested in the natural world, whether student or amateur naturalist. Here are more than 6,500 alphabetically arranged entries that cover all aspects of nature, from the rich diversity of the Earth's flora and fauna and their habitats, through significant biological processes, to such pressing modern issues as conservation, pollution, and resource sustainability. Readers will find information on microscopic animals such as plankton and on the great blue whale that feed on these animals. Indeed, there are entries on virtually any topic under the sun--alligators and butterflies, stately red woods and poisonous mushrooms, dank rain forests and glittering coral reefs. In addition to the general entries, some 30 special interest topics--from evolution and genetics to new forms of taxonomy--are covered in individually designed, single- and double-page features. Focusing on subjects that educational specialists consider key, these feature articles include in-depth text and more comprehensive illustrations than found in a normal entry, to ensure a full understanding of the topic. 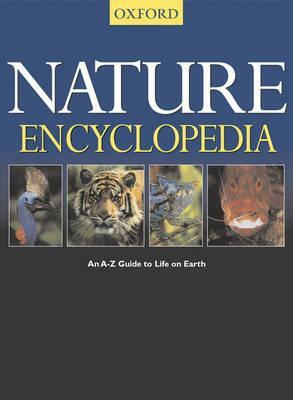 The encyclopedia also features a Ready Reference section that provides a wealth of at-a-glance information on subjects such as endangered species, ecosystem conversions, and important natural history institutions. Each of the entries has been written by recognized authorities in fields ranging from biology and zoology to botany and earth science. Whether you are interested in deserts or forests, farm animals or wild predators, long-extinct dinosaurs or tiny creatures in your own back yard, you will find ample information in The Nature Encyclopedia.